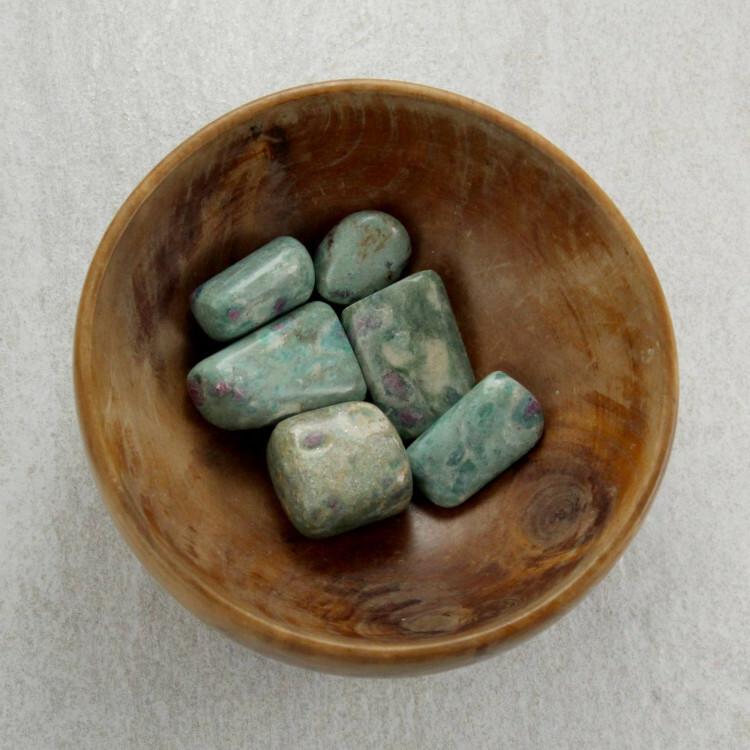 Medium tumbled Ruby in Fuchsite pieces, measuring 20-30MM. 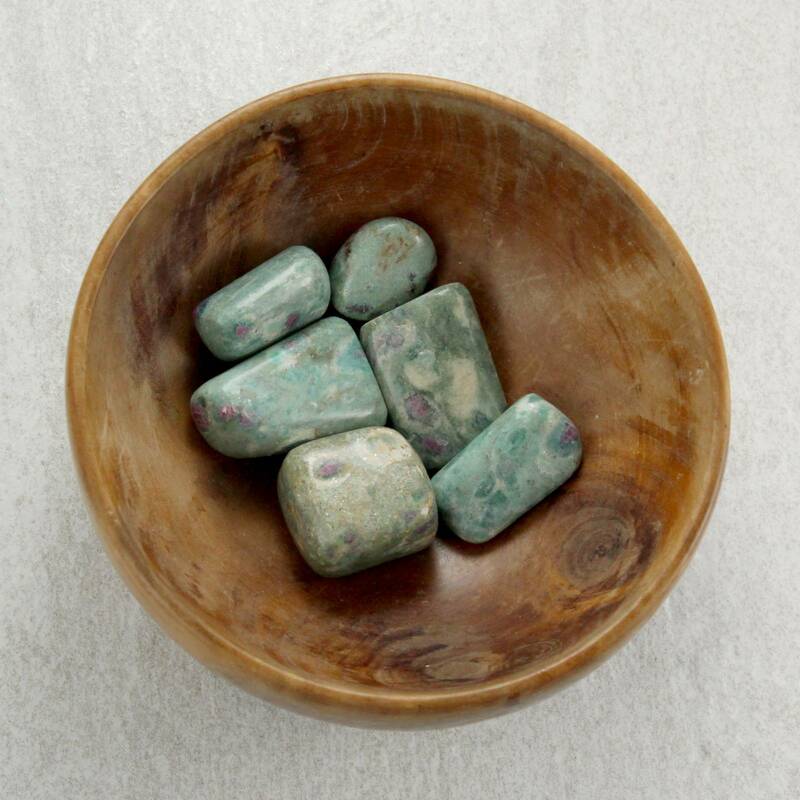 Gorgeous Ruby in Fuchsite tumblestones, measuring approximately 20-30MM along their longest edge. Eventually, we hope to be able to offer other sizes of these tumblestones. As it is currently, our supply is quite limited. These stones make a great decorative piece as decorative gravel. Perhaps they may be suited to display in a bowl or a small vase as well? As mostly green stones, they do contrast well with black and white stones, as well some other colours. We find that these stones are really popular gifts for kids, too – they associate the name “Ruby” with a much more valuable stone. Tends to grab their interest! For more information about Ruby in Fuchsite – including information on the mineral itself, and a list of our products, check our ‘Ruby’ page.